And now for something on the “Marching” part of “Computers, Marching, and Life”. I’ve been following the Drum Corps International summer tour since 2007. I try every summer to actually attend a couple of shows. I attended Drums Across the Bluegrass Friday evening. The weather was good, if a bit warm; they probably could have started the event an hour later since they only had 6 corps in attendance. Heat aside, the I was pleased with the whole event. Overall, the corps had solid performances. 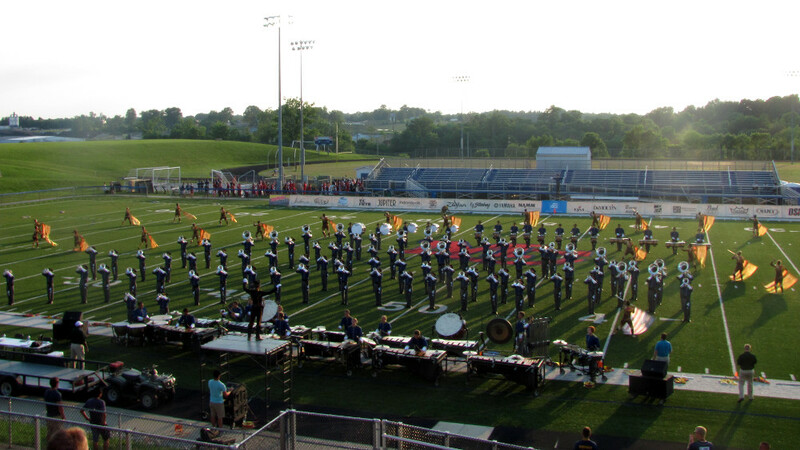 Cincinatti Tradition: Cincinnati Tradition is an all-age corps that competes in the DCI Open Class circuit. Their tour schedule is less rigorous and they require less commitment from their performers than junior (under 22) and World class corps. 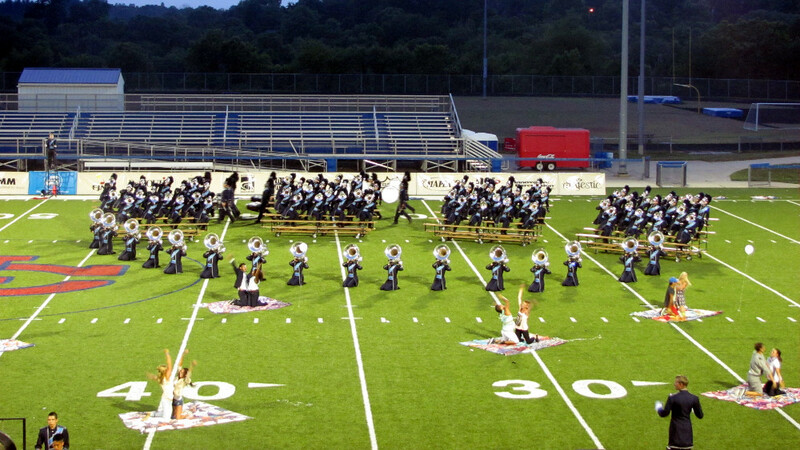 They’re a small corps this year, with only about 30 performers on the field. Their show this year is called BR3AKDOWN. I recognized some of the music, though I can’t name any of it. This group doesn’t perform at the same level as many of the others, in terms of difficulty and polish. That said, I think this group exists primarily to cater to performers who can’t commit to a more intense summer tour. Troopers: The Troopers hail from Casper, Wyoming. Their show this year is titled The Magnificent 11 (not to be confused with a movie by the same name). This show oozes Troopers. It summons images of the American West and the American military in the late 19th century. Their repertoire includes The Magnificent Seven and Battle Hymn of the Republic, among others. The Troopers grabbed my attention from the very beginning of the show with their big, rich, brass sound. I remained captivated as the show continued with musical and visual images of the American West and came to a finale with the Battle Hymn of the Republic. The Trooper’s identity is strong this year and I expect them to be a crowd favorite. 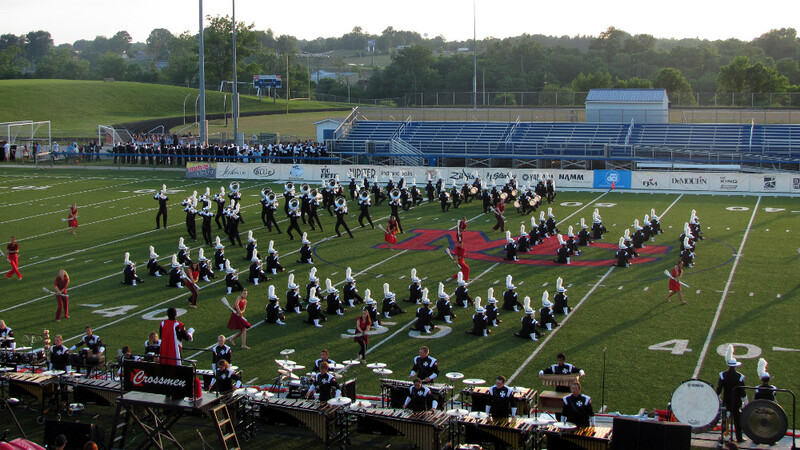 Crossmen: The Crossmen’s 2013 program is titled Protest. The show emphasizes the power of assembly and the urgency of Now. 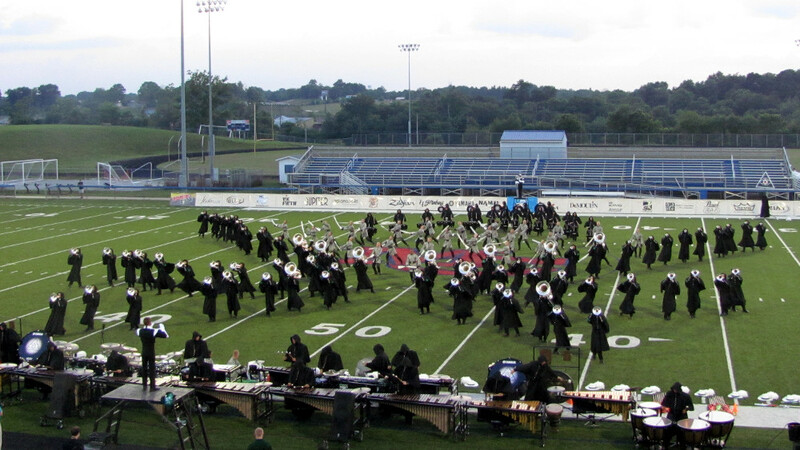 Where the Trooper’s sound is rich and dark, the Crossmen took the field with a bright but powerful sound. I think they may have been the loudest corps Friday night. Their program is not as technically demanding as some of the other corps; as a result, they are executing very well early in the season. Personally, I didn’t connect with the show as well as I did with The Magnificent 11, but it was a great performance and the program is in line with the identity the Crossmen have built for themselves. Spirit of Atlanta: I have a personal connection with this corps, as I know two of the performers. I’ve really enjoyed Spirit the last few years and I’m happy to say that this year will be even better. Over the last two years, this corps has reestablished its identity with the shows ATL Confidential: A Tribute to Film Noir (2011) and Sin City(2012). This year’s production, Speakeasy continues in the same general theme. Spirit is always entertaining and tends to take on technically challenging material, especially this year. They’re playing lots of notes, in both percussion and brass. Some parts are a bit rough right now, but the show is impressive as it is and is going to get much better as the season goes on. Spirit has set themselves up to have a shot at the top 8 this year. The Cavaliers: A.K.A “The Green Machine”, the Cavaliers have a reputation for fielding some of the most intricate and demanding visual programs. They have a very well balanced more restrained sound. This year they present Secret Society. As the show begins, black, hooded cloaks cover the corps’ signature bright green jackets. The performers shed their cloaks about a third of the way through the program to reveal the classic green grab with an icon of a secret society, which includes a cog, one of the corps’ own symbols. 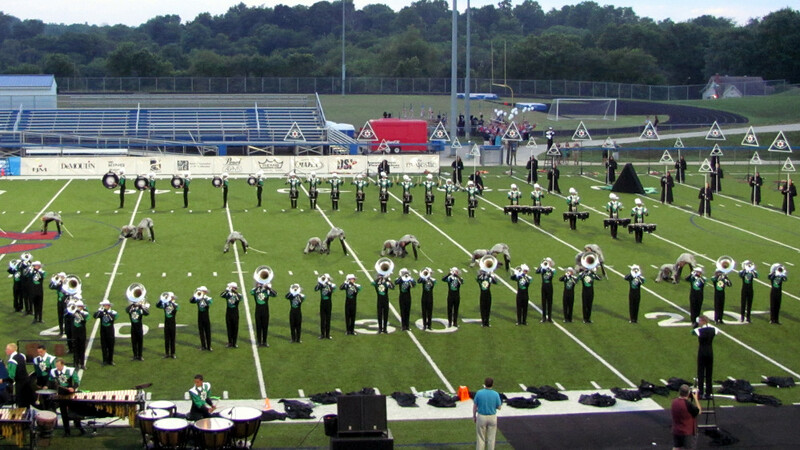 I really didn’t get into the music, but the Cavies engaged me visually in the way that only the Cavies can. The Cavies’ shows are usually an acquired taste for me, and I’m confident the show will grow on me as the season progresses. The Cavaliers are perenially in the top 8. I doubt they’ll have any trouble keeping that position this year, but they may face stiff competition from Spirit of Atlanta and the Madison Scouts. Bluecoats: The Bluecoats’ 2013 program, …to Look for America, explores the identity of our nation. As usual, the Bluecoats sound is dark and penetrating. The corps makes interesting use of several sets of wheeled bleachers, which they use as props throughout the program. 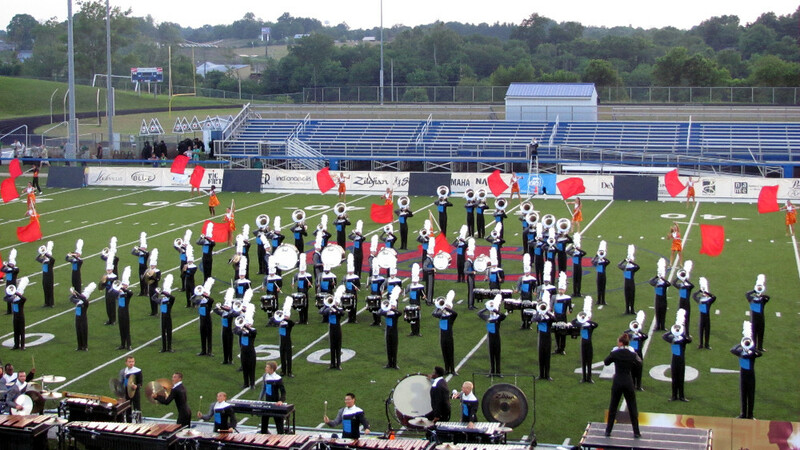 The Bluecoats’ uniform for 2013 nods back to the uniforms of previous decades. The uniform is a dark navy blue, a departure from the bright blue they’ve used since 2007, and they’ve brought back the sash in a sky blue. I like the new uniforms; they work really well on the field. They performed their show well and are probably fighting for a spot in the top 5 as the season begins. I’m pleased with the performances of all of the corps from Friday night. I really enjoyed kicking off the DCI season at Drums Across the Bluegrass and look forward to following all of the corps through the summer. Live Drum Corps is awesome. This entry was posted in Drum Corps, Marching on June 23, 2013 by Frank Roberts.